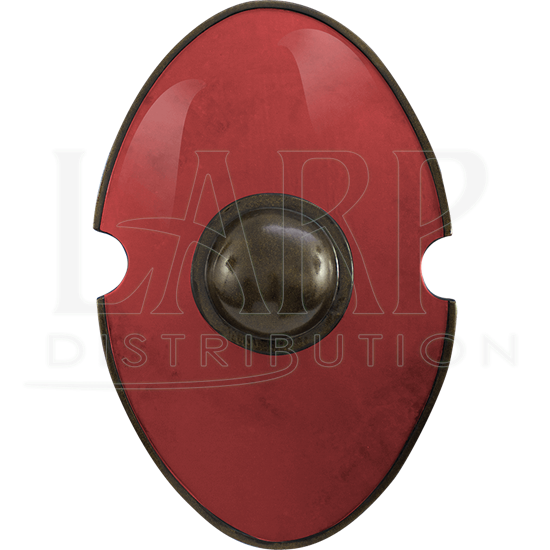 Create a LARP ensemble that balances looks with function with the addition of the Red Elliptical LARP Shield. This red shield is crafted from durable foam and then coated with latex to ensure it remains a long lasting accessory. A central handle behind the dark boss allows you to create distance by extending your arm or block the vision of your opponent while planning your next strike. 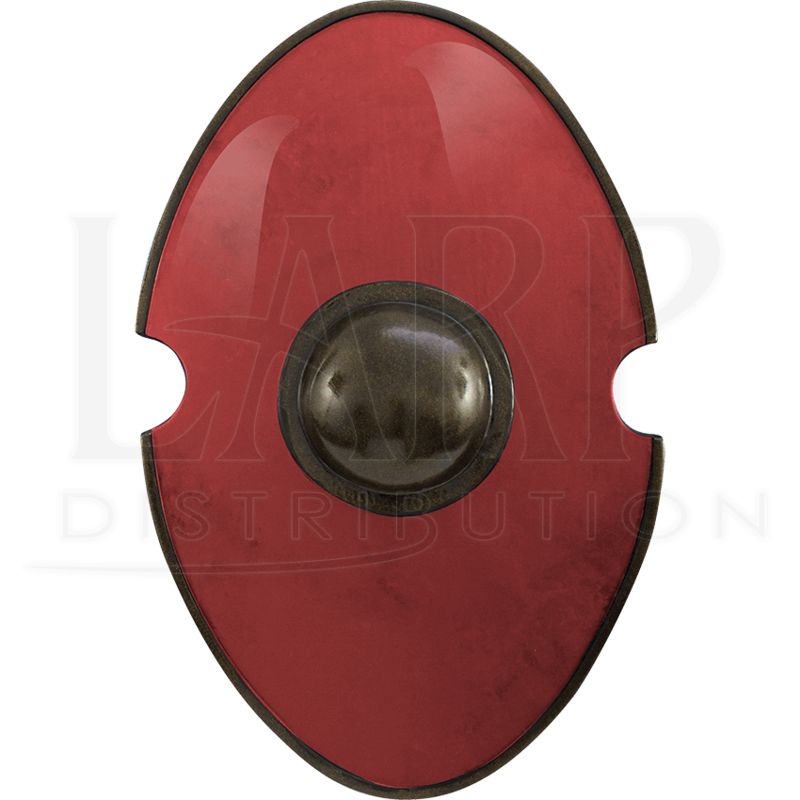 The oval shield has half circles cut out on the sides to provide a space for your weapon. Make sure you keep this Roman shield close during your next battle!